Small Group North Shore Circle Island Tour - 6 hour tour, luxury vehicle - all about quality. Visit the DOLE Plantation+, stroll through Haleiwa+ town, see turtles on North Shore Beaches+ and take pictures of famous Surf Spots+. Have local lunch at food trucks+. Try North Shore Shrimp, traditional Hawaiian food or fresh Poke (veg. options available). Enjoy free Macadamia Nut Coffee and Nuts before getting back to Waikiki (3-4pm). 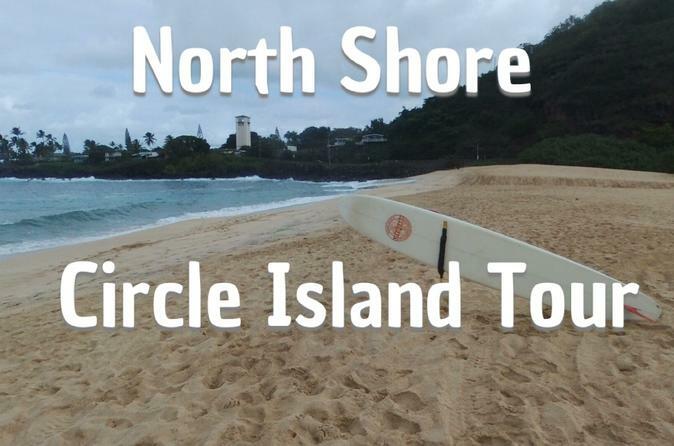 This luxury, small-group North Shore Circle Island tour of Oahu takes you to the best spots on the Island! Experience THE REAL HAWAII on our 6 hour North Shore Circle Island Tours of Oahu. Lean back and relax on our 6 hour tour round the beautiful island of Oahu focusing on the North Shore of the island. Small group tour with only 7 passenger per tour in our luxury vehicles. Free Pickup and drop off in Waikiki.